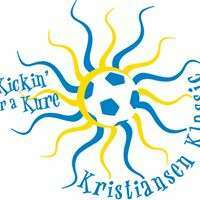 ANNUAL SOCCER TOURNAMENT IN SANTA BARBARA @ UCSB to raise funds for the Ina Kristiansen Memorial Fund, and to raise awareness & increase donors for the National Marrow Donor Program. Ina Kristiansen was a past SBWSO soccer player and the SBWSO supports the tournament by entering teams into the tournament. Friendship Sports Inc, is a family owned business that has been hosting adult competitive and recreational soccer tournaments since 1987. We hold 5 tournaments a year, and welcome teams from all over the US, Canada, Mexico, and Europe. •	Games are Saturday 8-5, Sunday 8-1, Finals to follow. •	Divisions include Premier Open (must be over 18), Over 30, O35, O40, O45, O50, O55, O60, O65, "B", "C", "D". •	Awards & Free Entry to following year tournament for division champions. •	Mobile app to keep track of rules, scores, etc. •	Fun, Friendly tournament environment. Discount for multiple team entry. 24th Annual Senior Classic Tournament in San Diego, CA. Completed rosters are due by April 24. Any changes in the rosters after that can be handled by email. We have Early Bird registration and all you need is the check and the registration form filled out. We will have baskets for raffle as we always do and gift bags with water, fruit, and a surprise. Feel free to email me with any questions. We want to fill up the divisions this year with at least 5 teams in the 50+, 5 teams in the 60+, and 5 teams in the 65+. The 50+ division this year has 3 "gift players" ages 47-49. Other divisions are age pure and no double rostering will be allowed. Registration Deadline is May 12 or when the division fills up, so hurry and get your team registered. The Summer Soccer Classic Tournament is BACK for 2016! PWSL invites you to join us August 6-7, 2016 at Frances Ryan Park for our annual adult soccer tournament! We’re keeping full-field 11v11 format for both competitive and recreational teams, and have added additional age brackets for the Women’s and Coed divisions. We've hosted teams from Washington, Utah, Arizona and all over California - and we’re looking forward to YOUR team joining the fun! Team fees will be posted/registration will open in early spring. For more information, check out the FAQ and past tournament rules, registration and results via the fly-outs on the "SSC Tournament" menu. We’ll post updates as we have them, but feel free to contact us at tournamentdirector@pwsl.org with any questions.